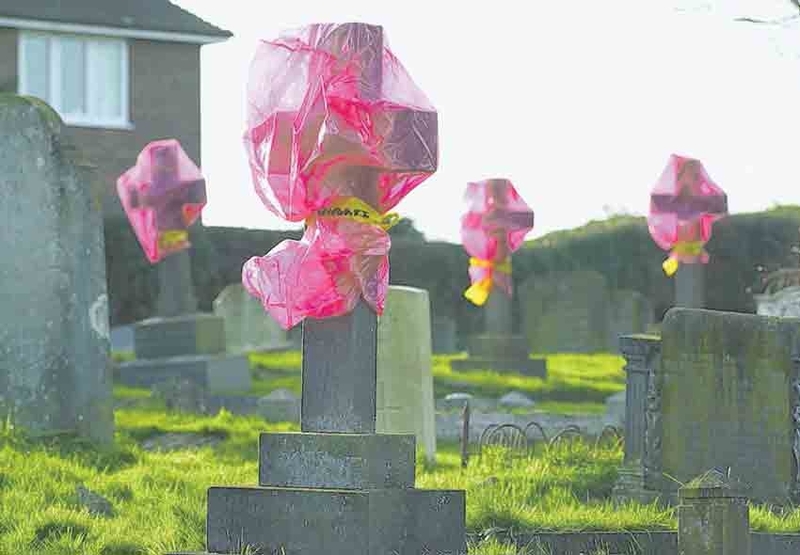 The council in Uckfield, East Sussex, has covered headstones deemed unsafe with "lurid coloured plastic bags and 'crime scene' style plastic tape announcing 'Danger Unsafe Keep Away.'" A council spokesman said: 'Workman should be carrying out repairs later in the year. Nothing says "Danger Unsafe Keep Away" to small children like pretty pink bags and yellow ribbons.